The Perko Powermatic R100 Hydraulic Door Closer is a high quality product, offering minimal visibility. 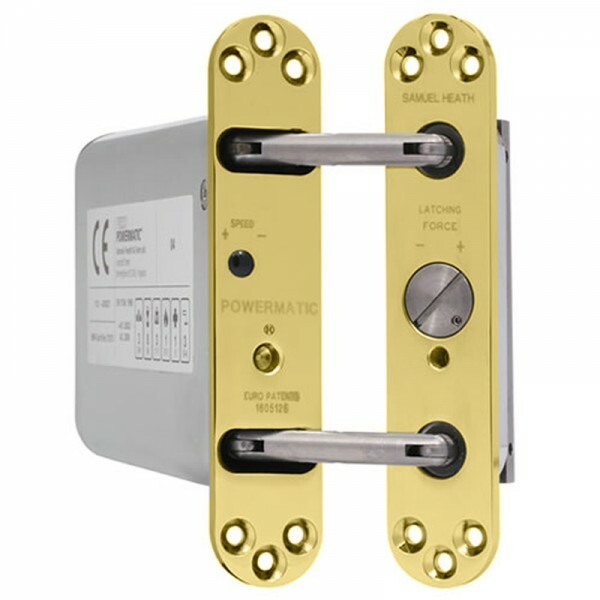 Ideal for both high-spec design and doors vulnerable to vandalism, the Powermatic door closer is available in a range of finishes, has a 10 year guarantee and is fitted inside the door's body and connects to the frame. Powermatic® is one of the world’s most advanced controlled, concealed door closers. It delivers outstanding performance and reliability, and possesses many unique features that deliver benefits to fire and non-fire door applications in housing, hotel, education, healthcare and many more applications.